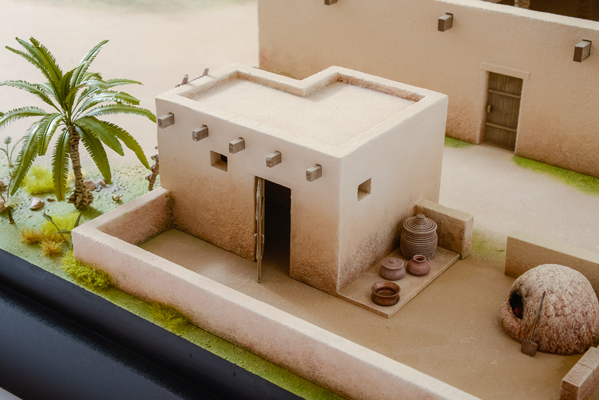 This is a museum model of one of the first mosques in the world. 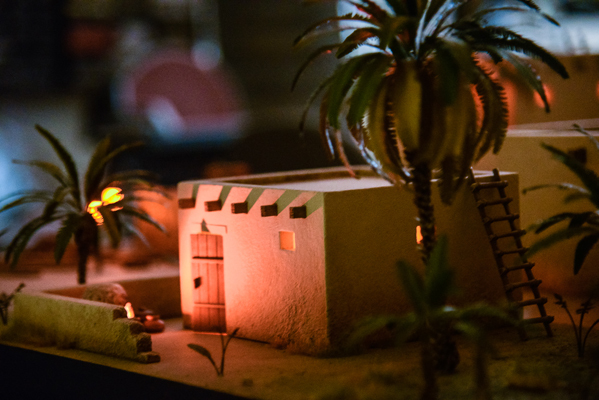 It was established and built by the Islamic Prophet Muhammad upon his arrival to Medina in 622 AD. 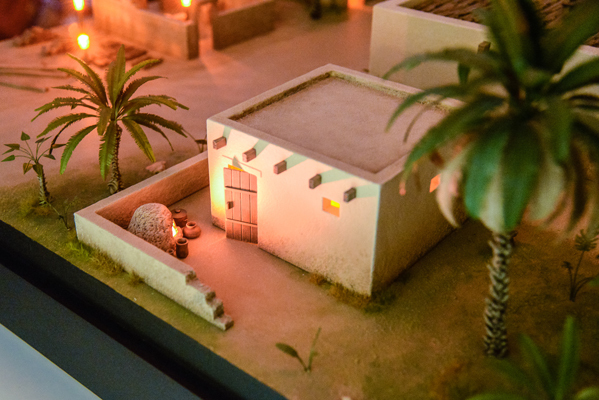 The mosque itself was built as an open air building also serving as a community center, a shelter and a religious school. 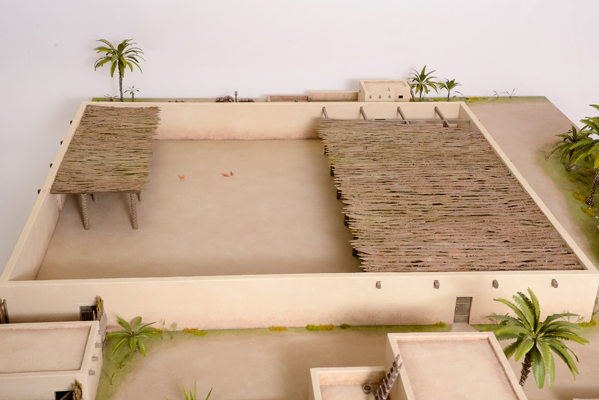 After erection of the mosque itself the following step was building houses for the new migrants. 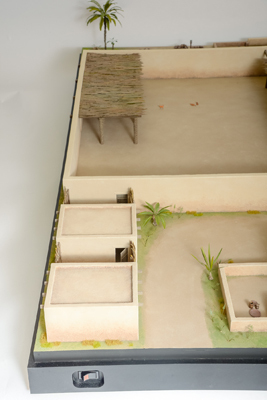 The reference material is scarce, and therefore the research was a challenging and exciting journey that we took along with the client's researchers. 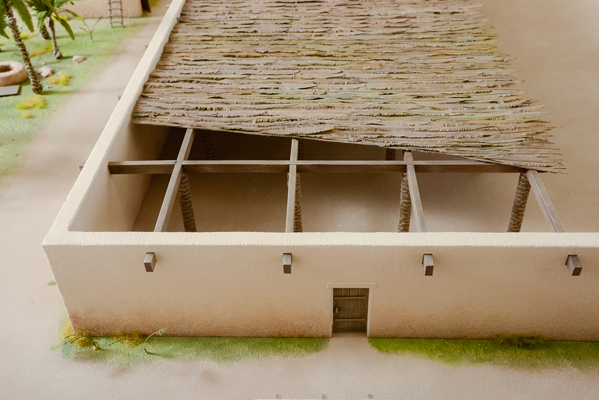 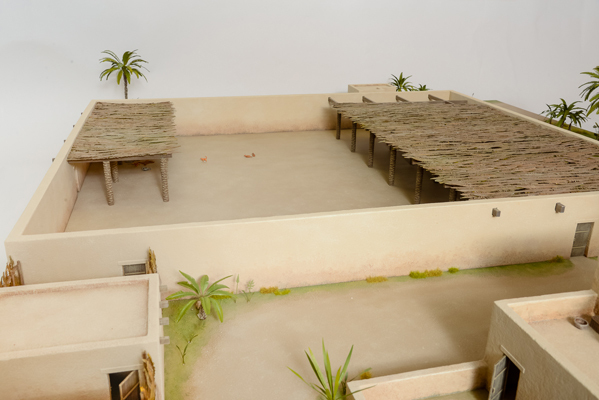 The research was set not only to determine the look and feel of the mosque and surrounding buildings, but also the construction techniques (mud brick construction in particular), the utility items and proper vegetation that was typical for the era and the place. 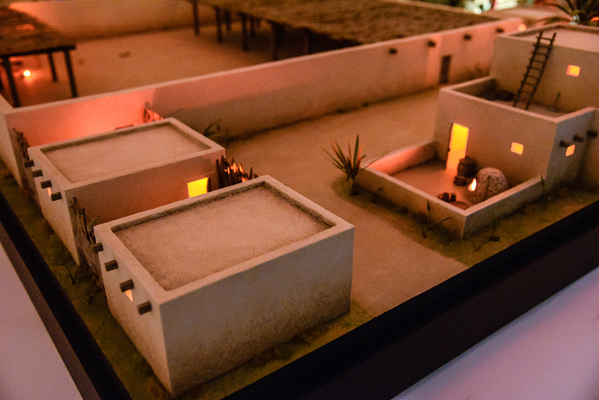 We would like to think this journey resulted in establishing a quite accurate look of the Prophet's Mosque and the surrounding area. 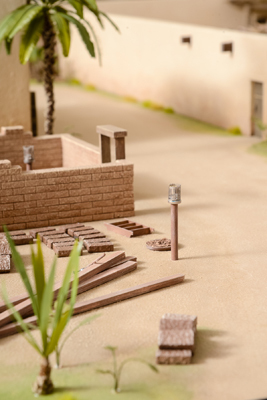 We created a model where every element is telling a part of a story. 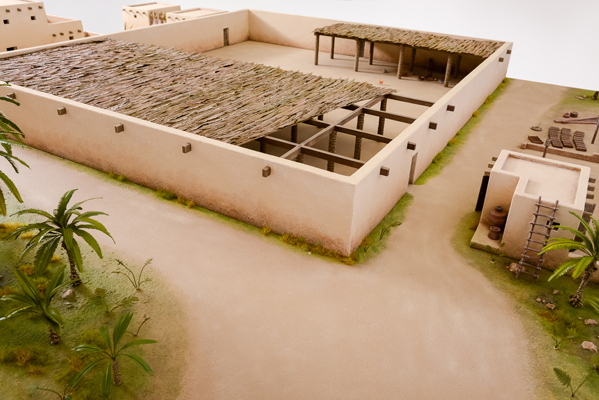 The mosque building represents how it looked at the early stage - right after it was built. 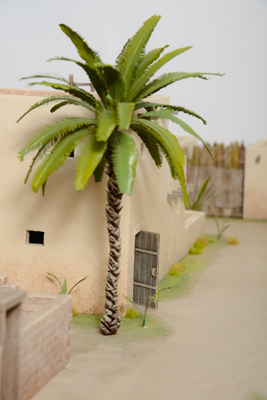 In a close proximity to the Mosque there are a few finished houses of the residents of Medina. 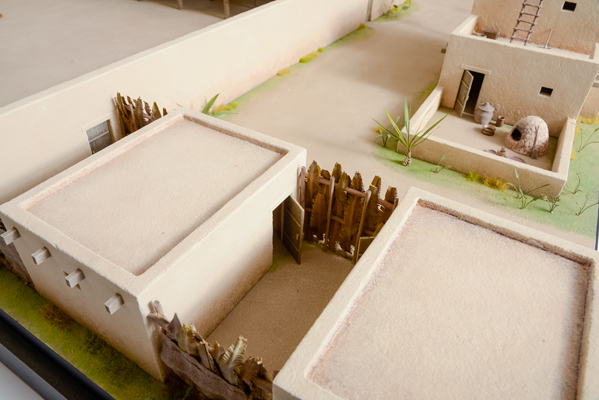 Also there are a few houses under construction representing an ongoing process of building the houses for the migrants settling in Medina. 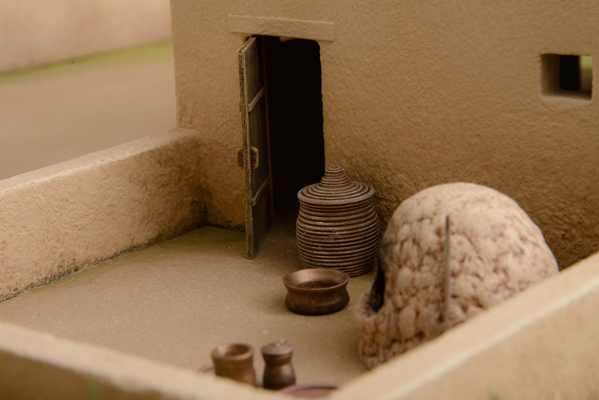 There are utility items - tools, pots, cads, plates, baskets, hides and oil lamps arranged in the courtyards and mosque's shelter area - all carefully crafted according to the reference materials. 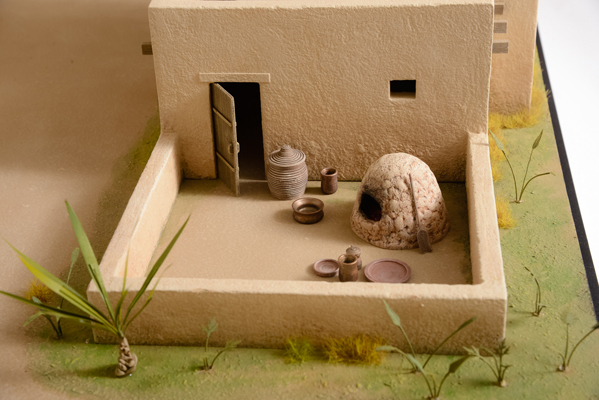 Typical oriental clay ovens are placed in the houses' courtyards. 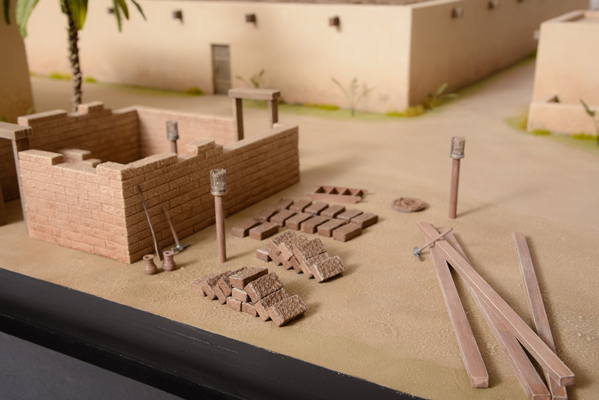 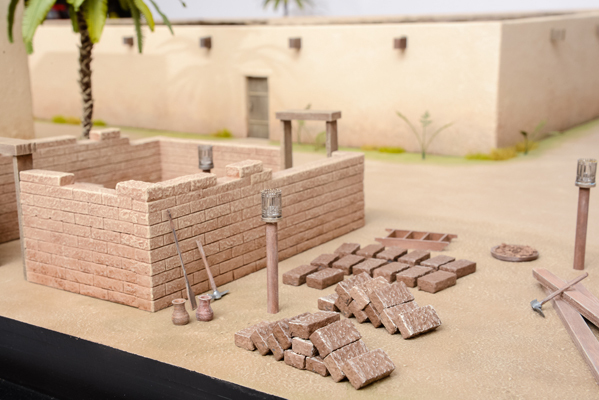 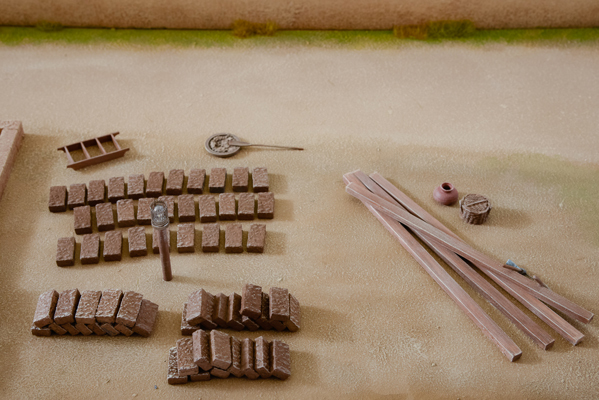 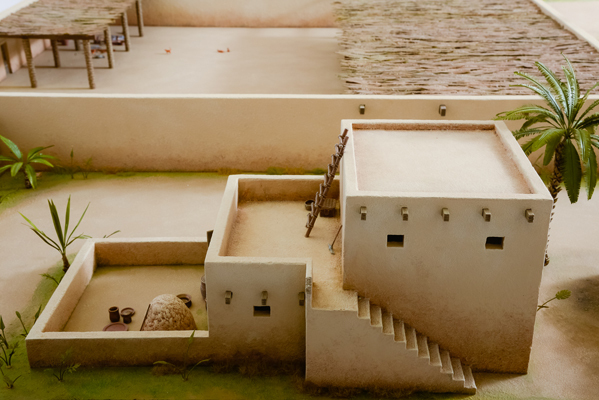 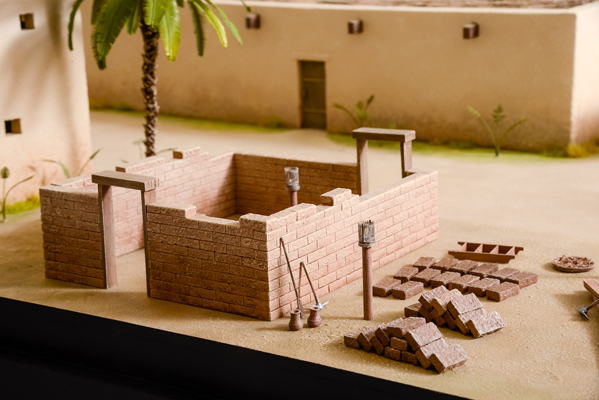 The construction sites display arrangements demonstrate the process of making mud bricks, along with appropriate tools and molds. 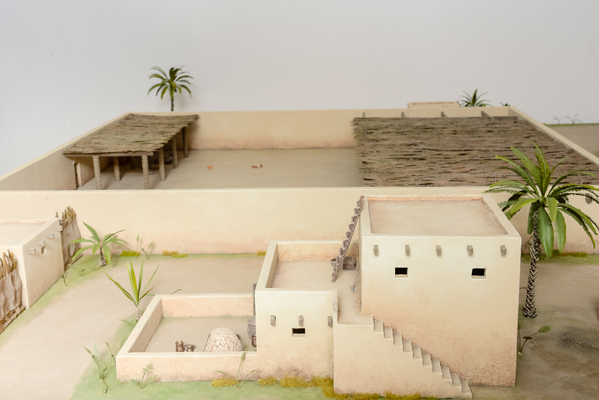 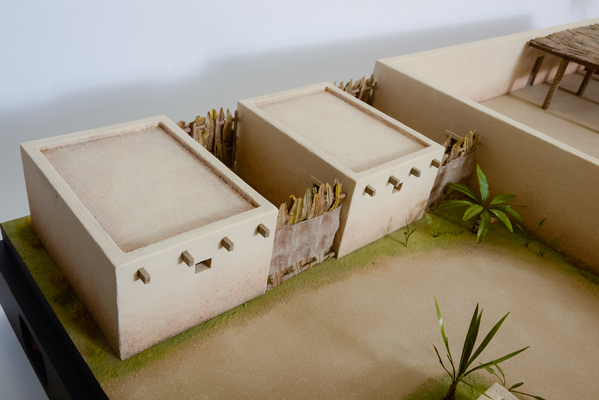 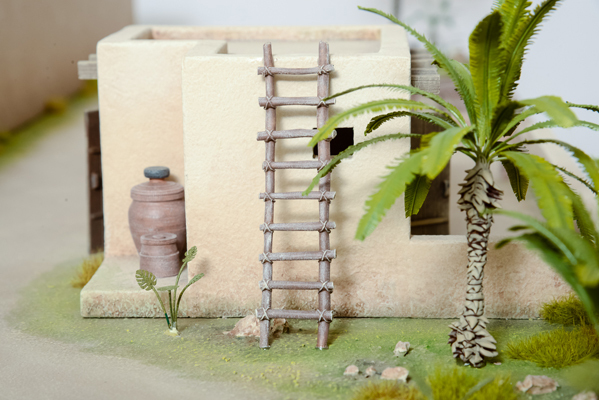 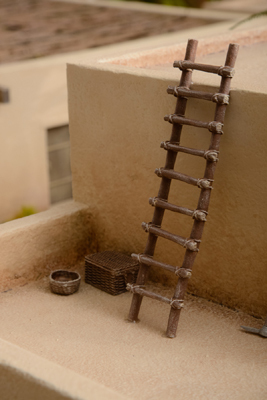 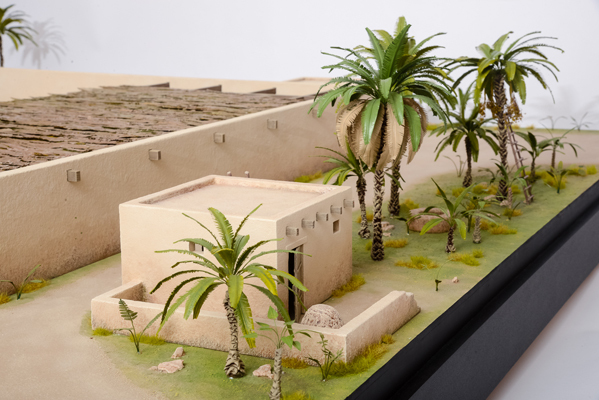 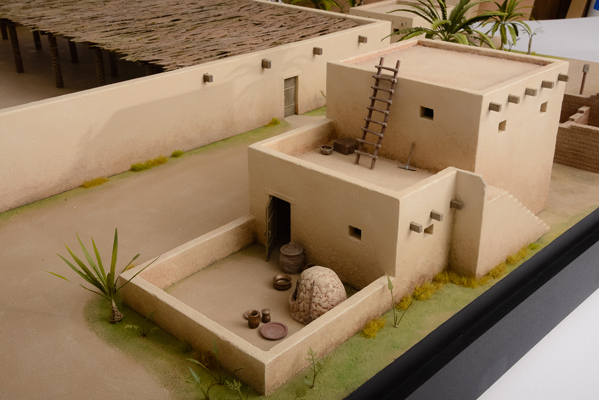 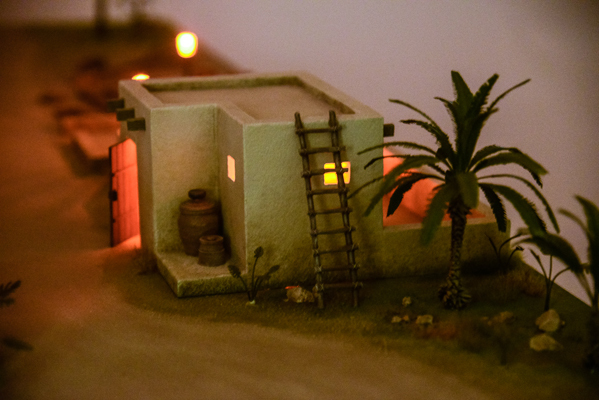 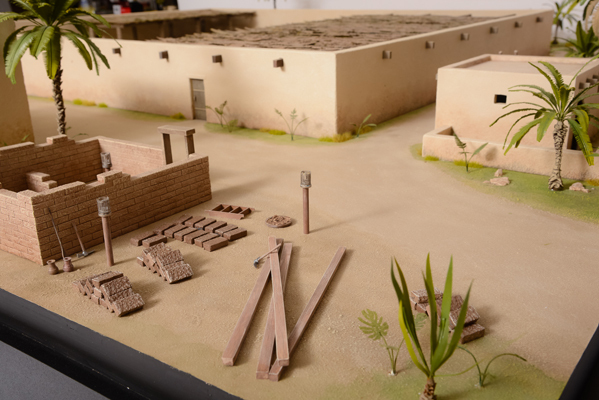 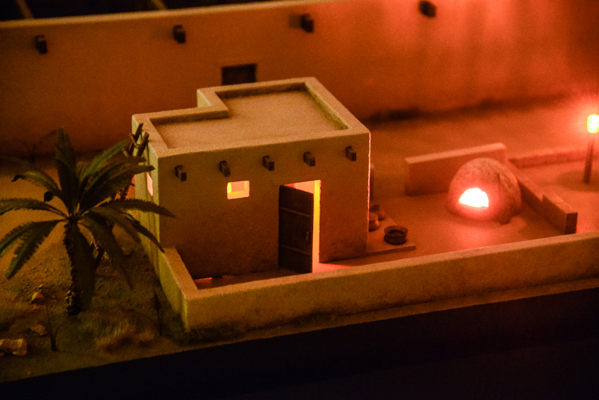 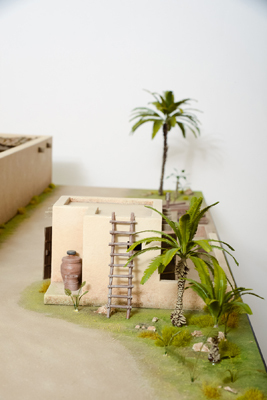 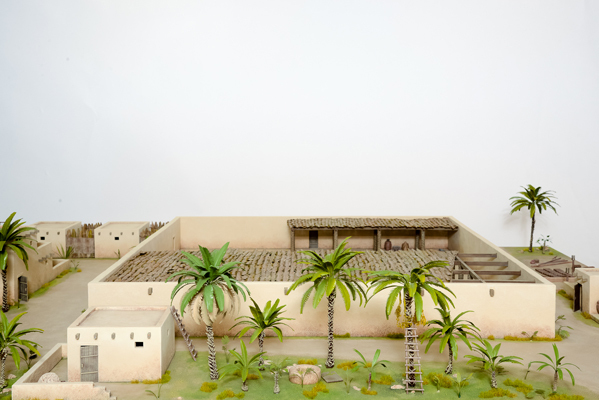 The model also featuring proper vegetation, including date palms and Calligonum - a shrub native to Medina. 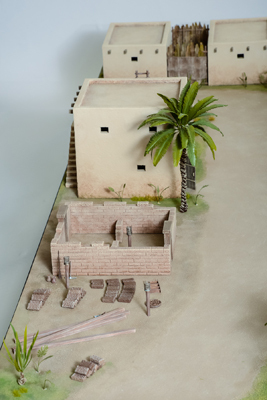 The model was designed using our 3D capabilities. 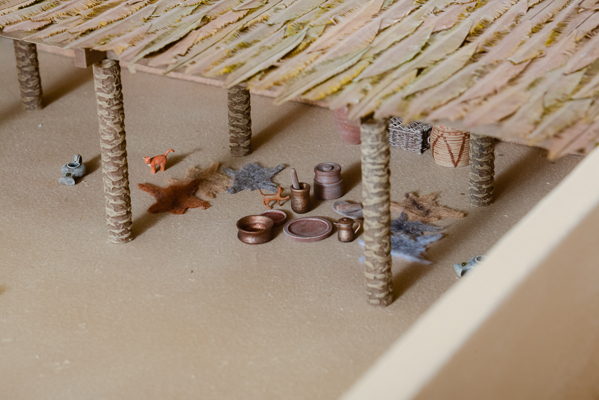 We built it by traditional machining and manual fabrication, using structural composites and other modern museum grade materials. 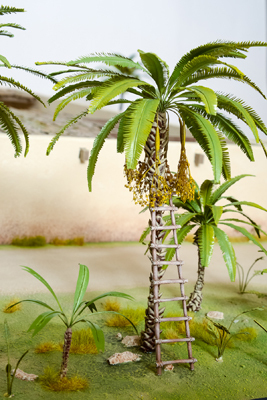 For vegetation we used only the highest quality model palm trees, bushes and shrubs. 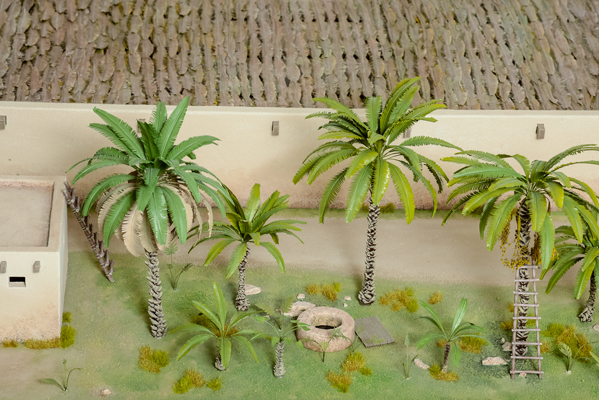 For the roofs we used several hundreds of single model palm leaves which we ordered from Europe, from the only provider. 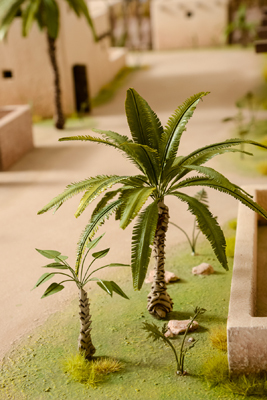 These palm leaves took the model to the next level of quality - none of the very few existing models of the Prophet's Mosque featuring such realistic palm leaf roofs. 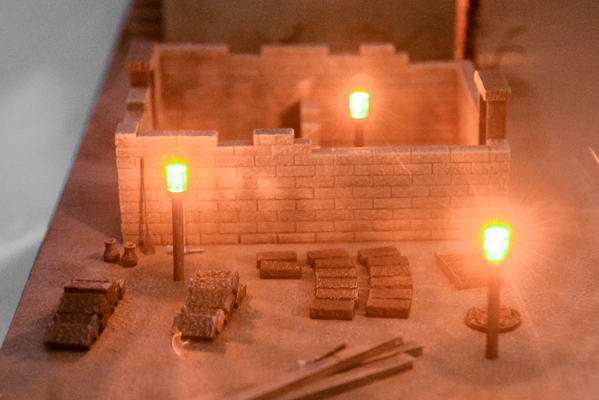 This model is illuminated. 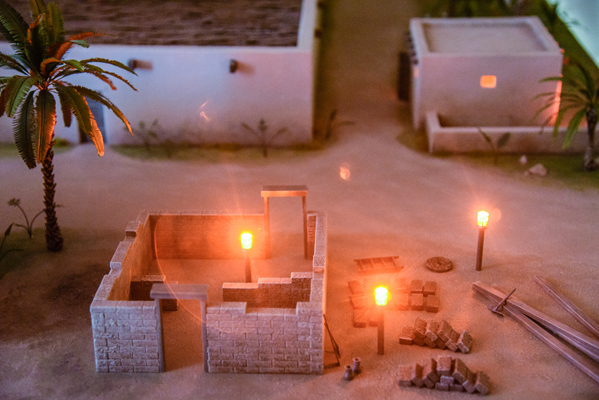 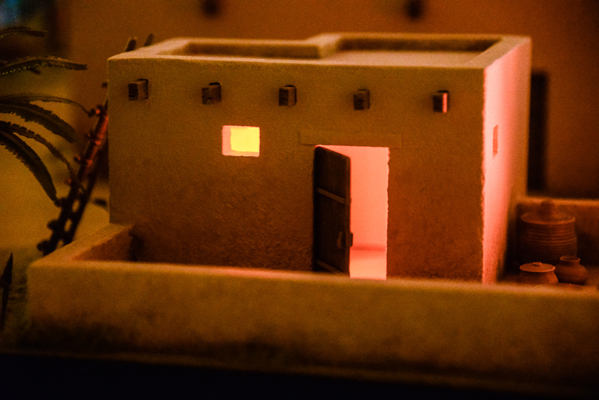 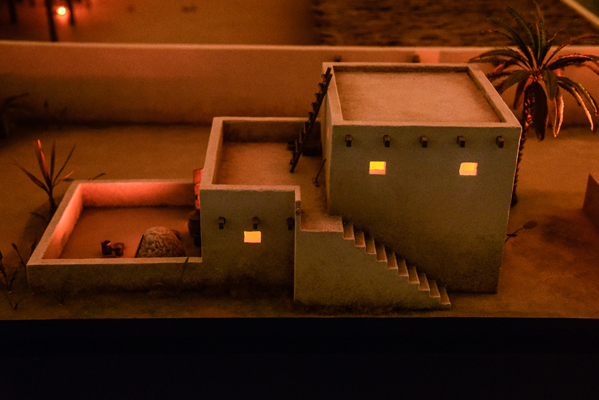 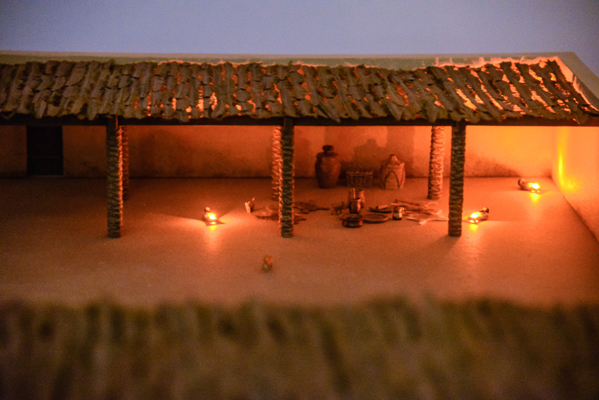 We hired a team of engineers, which put together a system of various amber lights, designed differently for each object - houses, ovens, lamps in the shelter and torches at the construction sites. 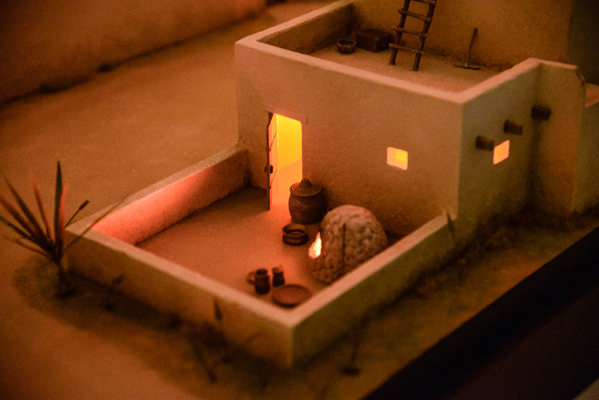 The electrical scheme includes a circuitry which cause the lights to flicker and for the lights in the ovens to flicker and float to simulate the burning coals. 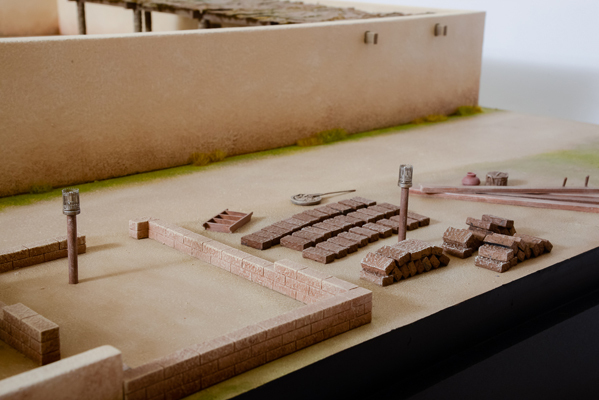 This model earned the client's recognition for the high quality, rich content, and its educational and cultural value.